What did you do with your leftover rice? Fried rice with eggs and chicken bits and soy sauce? Well, I got bored. Sometimes it is good to go back to the basic. 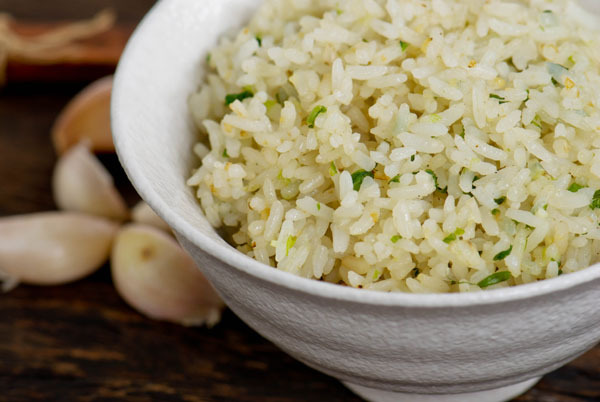 Rice is the staple for Filipinos and so, no meal is complete without it. Here, freshly cooked rice is served with sausages and fried fish to create a classic Filipino breakfast. The sausages and dried fish are also sold in Asian specialty stores. 1 Heat the oil in a wok or large frying pan and stir-fry the garlic until golden brown. 2 Add the shallots, rice, soy sauce, salt and pepper, and stir-fry for 10 minutes, turning the rice frequently to ensure even cooking and to prevent the rice from sticking to the pan. 3 Serve hot with the Philippine Pork Sausages and Crispy Fried Fish.